Welcome to the most unique dental facility you’ve ever experienced. We’re decidedly different from the traditional dental practice in many ways, large and small. To us, each individual is a unique spirit. Dr. Kimbrough and every member of the staff believes you are a sacred being deserving of the highest level of respect and protection, mentally as well as physically. When you are in our care, we care for your whole person with reverence and without reserve. Our treatment is imbued with a spiritual aspect that runs deep. Nothing is more important to us than preserving your teeth for life! 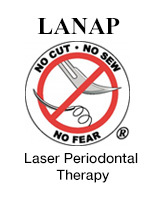 Preventive Dentistry is the foundation of our practice. We strive to discover and correct any potential problem before it can deteriorate. Always, our goal is to get it right as early as possible and then maintain it.